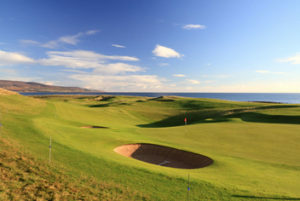 All you have ever heard of the humps and hollows of links golf is true of the twelfth. There is out of bounds to the right. 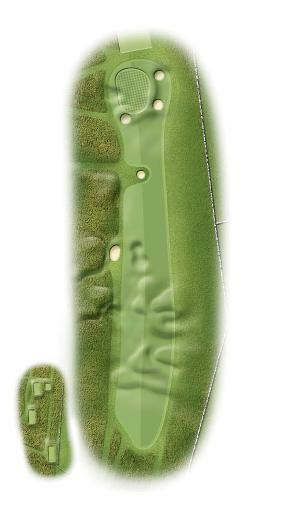 The small green has a narrow entrance well guarded, with the Clynelish Burn meandering not far from the back. There are those that support the view that the 12th is the best hole on the course.